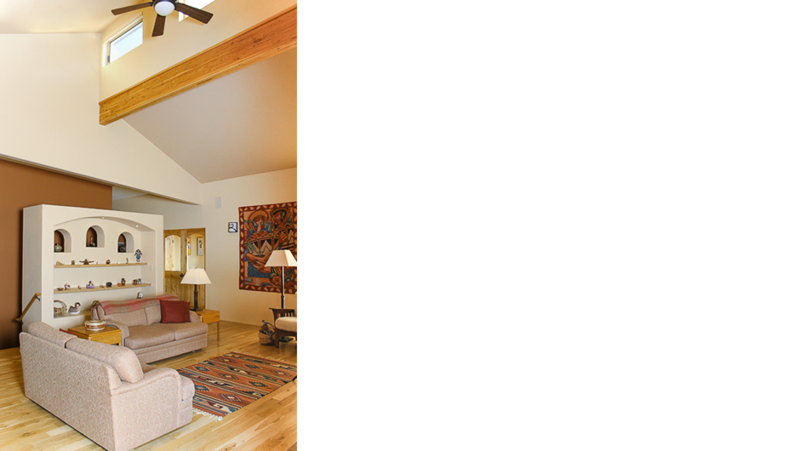 The owners of this passive solar home had a dream. They wanted to live in an energy saving, contemporary home that was physically connected to the outdoor activities they love: hiking, fishing, and gardening. 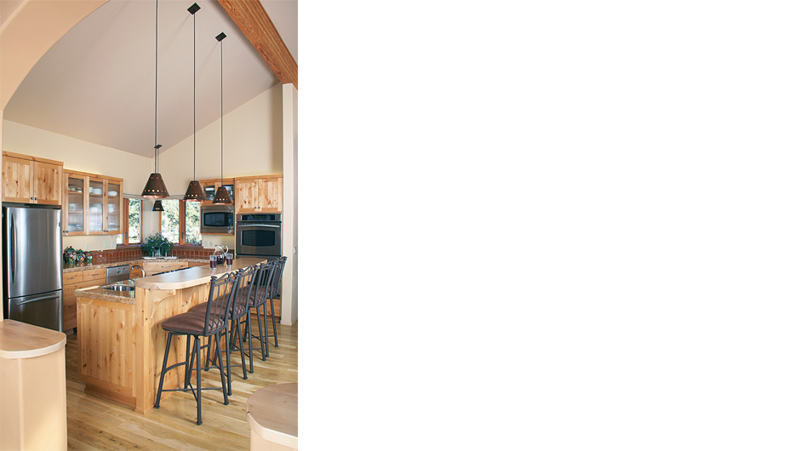 Excellent Southern exposure made a passive solar home the natural choice for this lot. But the stunning mountain and river views were to the West, presenting a challenge. We solved this dilemma by twisting the house 15 degrees west of South, jogging the house on the southwest side, and placing large windows, sliding doors & clerestories on the home’s southwest corners. As a result, rooms are filled with fresh air and natural light throughout the day, solar heat in the wintertime, and striking views all year long. 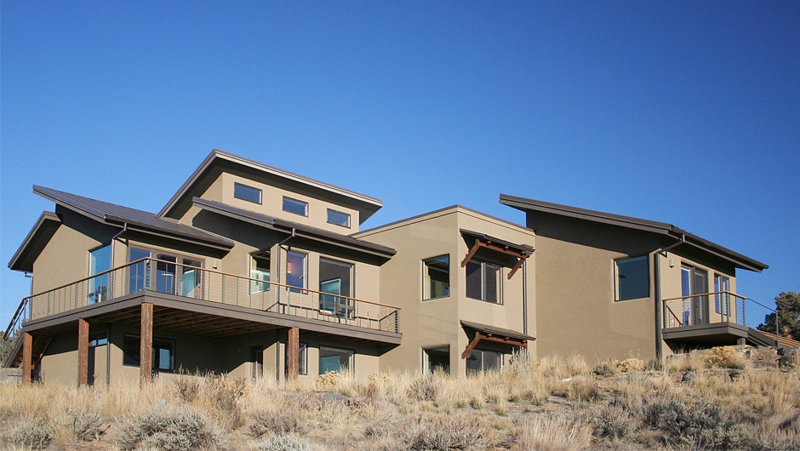 By combining features such as a “criss cross” roof, cable rails and arched openings we reflected the owners’ appreciation for both contemporary architecture and Southwest design. 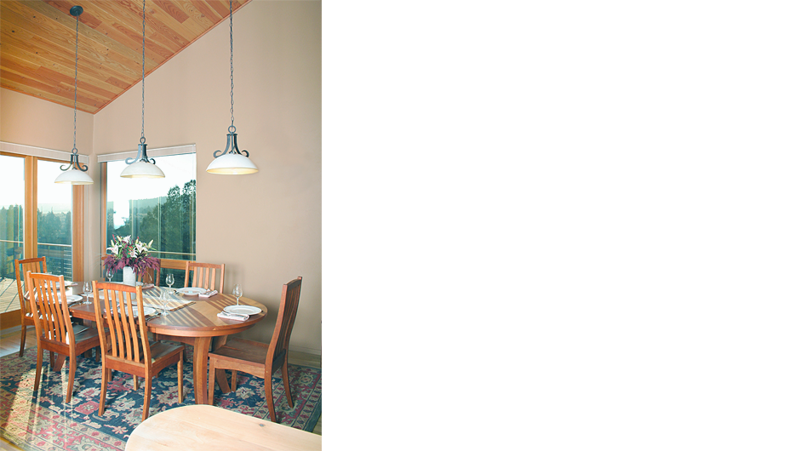 To create a healthy home, we specified natural finishes, such as American Clay Plaster, Yola paint, and cork flooring. Stucco, cable rail, Trex decking and stone patios keep maintenance to a minimum for this travel-loving couple. Roofs were expertly-angled to house Photo-voltaic and solar hot water panels while directing rainwater into a gravity-fed irrigation system for the natural landscape. 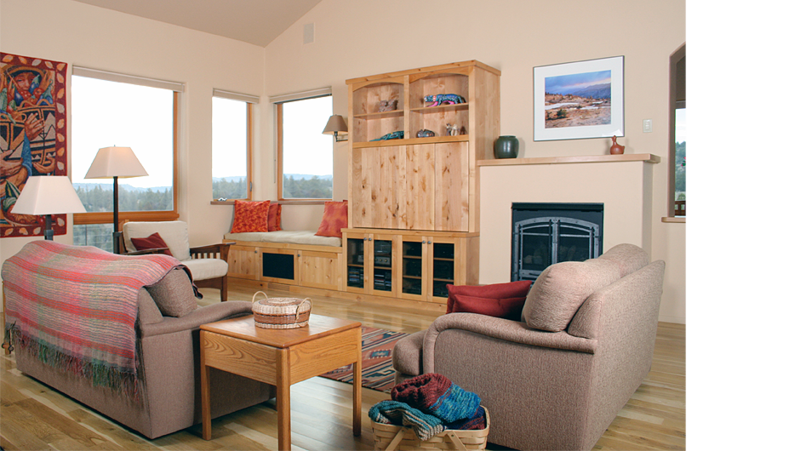 Durisol blocks, a “Cadillac” HVAC system and numerous other sustainable features work together, exceeding the Oregon State Department of Energy’s requirements for a passive solar home. “Criss Cross” combines smart contemporary architectural design with sound energy saving principles to approach the requirements of a Zero Energy home. Read The Bulletin article featuring this “CrissCross” home.